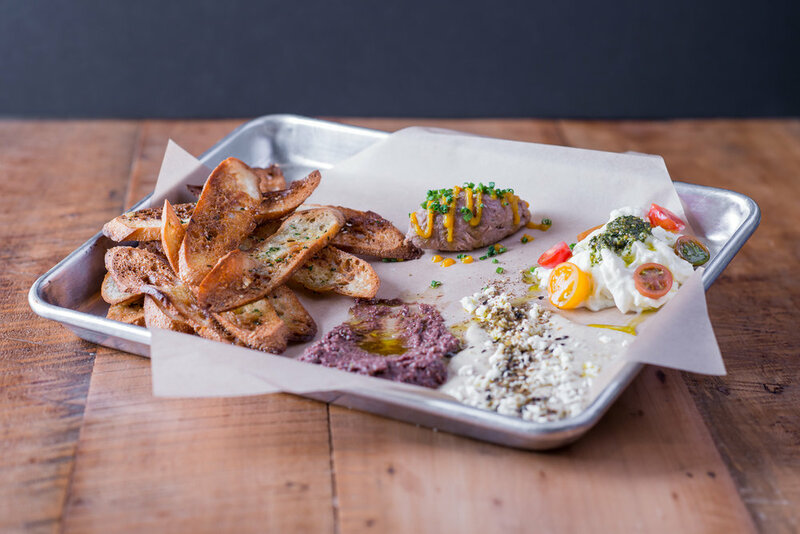 The locals' favorite in downtown Solvang, Hill Haven Provisions offers a warm and inviting casual atmosphere paired with elevated, globally-influenced food. Inspired by the gastropub movement, the menu melds California fresh with French Bistro, offering dishes designed to compliment our extensive craft beer, wine and cocktail selection. Outdoor and indoor dining. Open late! Got a question or comment? Please let us know what's on your mind! Caroline and Robert Boller have worked for some of the biggest wineries in the world. Following their passion for great food and drink, at last they decided to open a family-friendly bistro and bar. Hill Haven Provisions has quickly become the locals'-favorite. Located in the heart of the Santa Ynez Valley wine-growing region, you'll find us in the Danish town of Solvang, California. Inspired by the gastropub movement, the menu melds California fresh with French Bistro, offering dishes designed to compliment our extensive selection of craft beer, wine and cocktails. Features include: indoor and outdoor dining, outdoor fireplace, ADA accessible, kid friendly, restroom, dog friendly. Ample free parking adjacent to restaurant. Open late! Robert is a craft beer enthusiast and avid home chef. Both curate a wine list that draws from their collective experience in the business. Caroline is a two-time National Champion ultrarunner, has run for Team USA and is an Olympic Marathon Trials qualifier. Robert has been a trail runner since leaving his life as a commercial food photographer in NYC and moving to California to join the wine business. Both are proud coaches in our community with the Santa Ynez Valley Youth Track team.